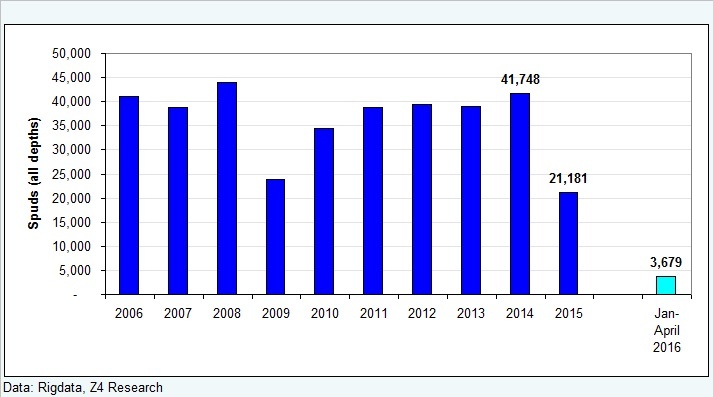 Better than expected weekly EIA oil inventories on flattish imports, record for week of year refinery throughput, the expected further acceleration lower in U.S. crude production, and record for week of year gasoline demand. 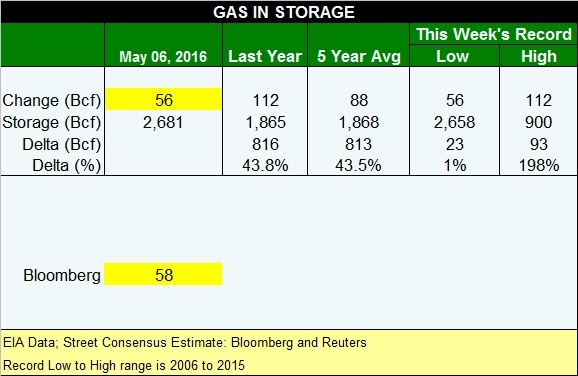 Natural gas in storage - in line to slightly better than expected weekly injection, much better than year ago and five year average injections as the massive storage overhang left from our just ended non-winter continues to erode. We added to our position in MRD last week at $11.38 during the conference call. Street has been missing the forest for the random tree here for too long. And MRD Wrap and Cheat can be found here. 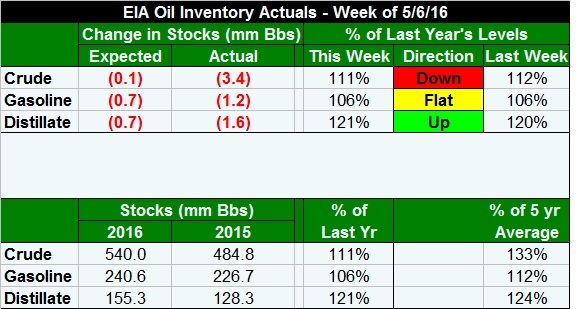 This link also contains the weekly oil inventory review slide show. The Blotter has been updated. The ZLT was up 2.3% points to 19.2% YTD while the XOP was up 1% to 11.2% YTD. This entry was posted on Saturday, May 14th, 2016 at 8:17 am	and is filed under Uncategorized. You can follow any responses to this entry through the RSS 2.0 feed. You can leave a response, or trackback from your own site. any fibbonacci peeps out there? thoughts on this? My experience has been that when there are massive, catastrophic collapses (like the one we just went through), that is when the most money is made. The question is how this time around? 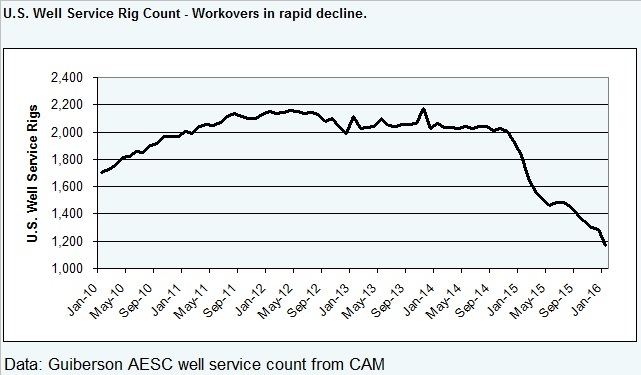 From peak to trough we've lost 80% of our US rigs in the past 21 months or so. Looking for historical patterns, is there a similar collapse in rigs we could draw a correlation to? 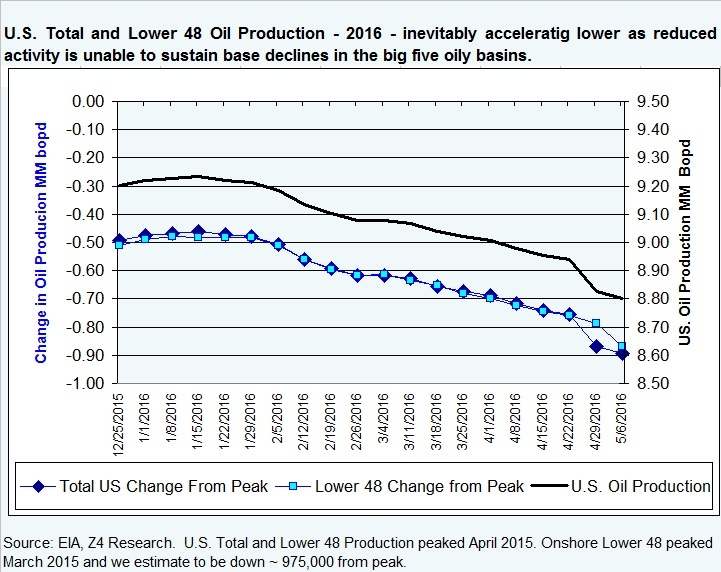 What happened to the price of oil and small to mid to smid cap companies during that time?